Rockstar's latest game is their most detailed yet. It's hard to believe that Red Dead Redemption 2 is only three weeks away from release, and yet, that's very much the case. 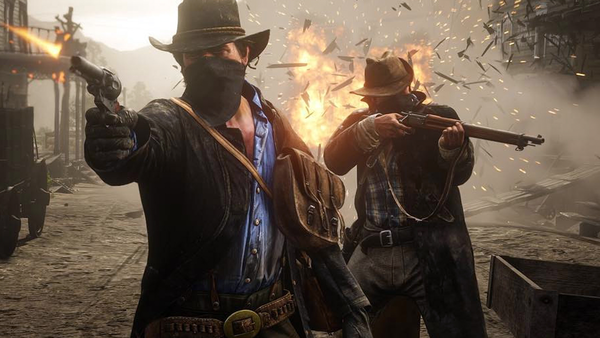 Rockstar have barely shown off their latest title, producing a select few trailers and releasing just over a dozen screenshots, and it's been very refreshing to actually approach a new release with minimal knowledge of the game's most intricate mechanics. Still, it's not as though the studio have left us all completely in the dark. Hands-on previews have emerged since the beginning of last week, as well as another gameplay episode, and together they help paint a picture of an immaculately detailed, sprawling environment where players are given a full license to live in the Old West. With so much detail packed in, this new Red Dead Redemption seems guaranteed to blow a few minds, as players are given the opportunity to taylor their western experience down to the most acute thing imaginable. Here are the most pointlessly good ones we've come across so far. Eating food in RPGs is never usually an essential task. In Skyrim, for instance, you can prepare a selection of classic recipes, but there's nothing really out there that says you should eat a cooked meal and not, say, 40 wheels of cheese in a panic. 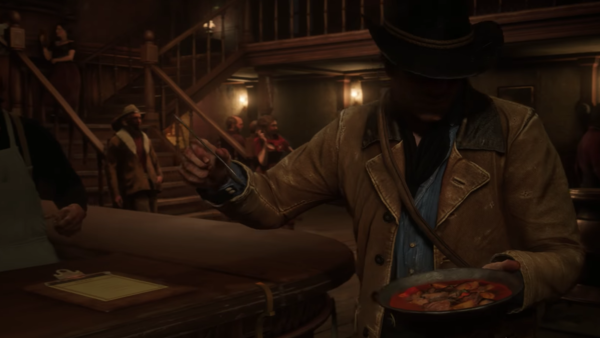 For Red Dead Redemption 2, Rockstar are attempting to make the art of cooking (and eating) a pillar of gameplay. If protagonist Arthur Morgan goes a day or two without food, he'll get thinner; overindulge in the culinary delights of your nearest saloon, and he'll put on weight. It's a similar mechanic to the one seen in GTA: San Andreas, but the big difference this time around (at the moment), is that the food looks genuinely appetising. Not Final Fantasy XV appetising, but scrummy looking all the same.